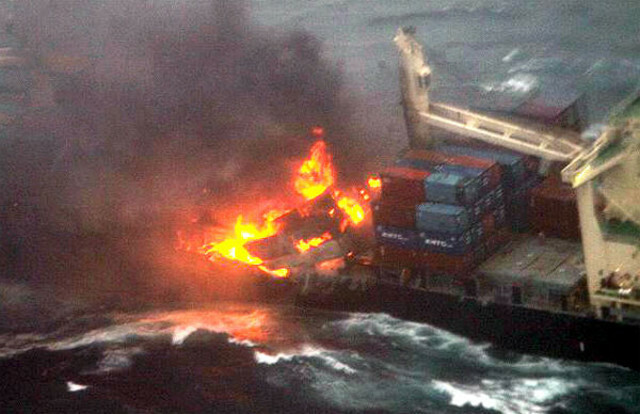 Japanese-built 24,724 dwt containership Kamala (built 1999) caught a major fire shortly after midnight Tokyo time July 11, around 220 nautical miles west off the coast of the Japanese island of Kuchinoshima and some 110 nautical miles of Chedju do (Korea) in the East China Sea. The vessel was en route to the Korean port of Ulsan, with previous port of call Surabaya in Indonesia. Ship’s crew sent a distress signal 12:45 am local time and the Japan’s 10th Regional Coast Guard Unit dispatched search and rescue teams to find and assist the vessel, which had several containers on fire. According to Japanese media reports the vessel was carrying 796 containers. The fire had not been extinguished by the middle of the day. 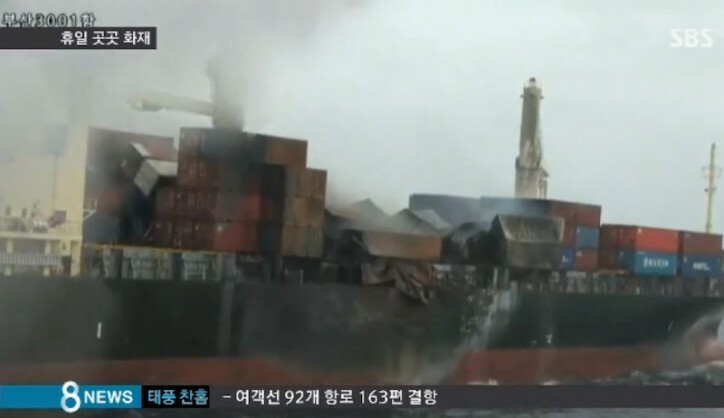 Korean Coast Guard rescue ship was engaged in fighting fire with water cannons, but the salvage teams had problem to border the ship because of adverse weather. Currently containership KAMALA is under way somewhere close to Jeju (Chedju do) island. All 23 crew remained on board, bravely fighting fire. It is not known yet what cargoes are in containers engulfed by fire, whether they’re dangerous or not. As soon as possible vessel reaches safe waters, specialists will board the ship to estimate the risks. No injures reported among the 23 crew members, mostly from Thailand and India. Fire was reported to be restricted with no or minimal risk of spreading further. The containership Kamala is being operated on a Korea-Indonesia service by KMTC and Hanjin Shipping lines. The vessel is owned by Singapore-headquartered Seachange Maritime.